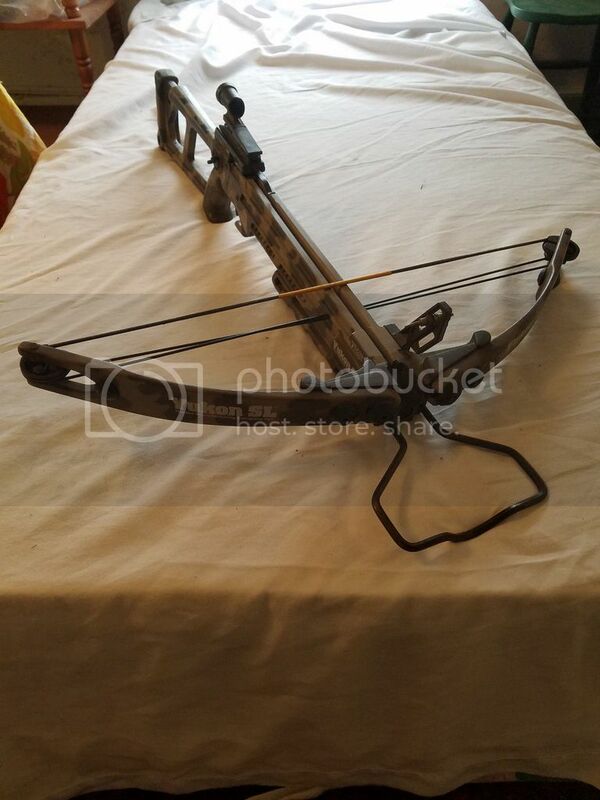 Thread: HORTON YUKON SL CROSSBOW - $120. HORTON YUKON SL CROSSBOW - $120. Made in the USA Horton Yukon SL. Used but in excellent condition. Strings/cables in great shape. Comes with adjustable sight. Shoots 20 inch crossbow bolts. Field tested and works fine. 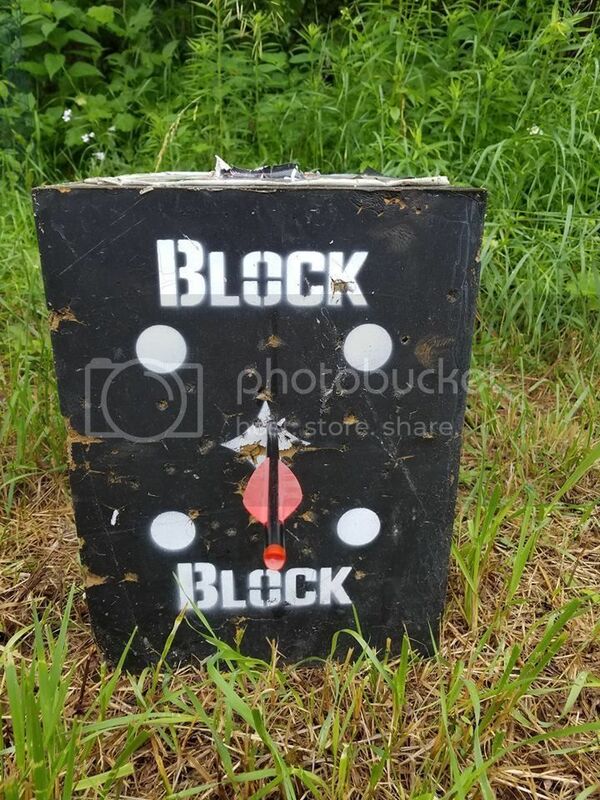 (yes, that was the Horton hitting the bullseye of my block target) A little slower than my Barnett Penetrator, but will likely outlive most of the new bows on the store shelves. The hortons are the simple and reliable work horses that bring home game every fall. 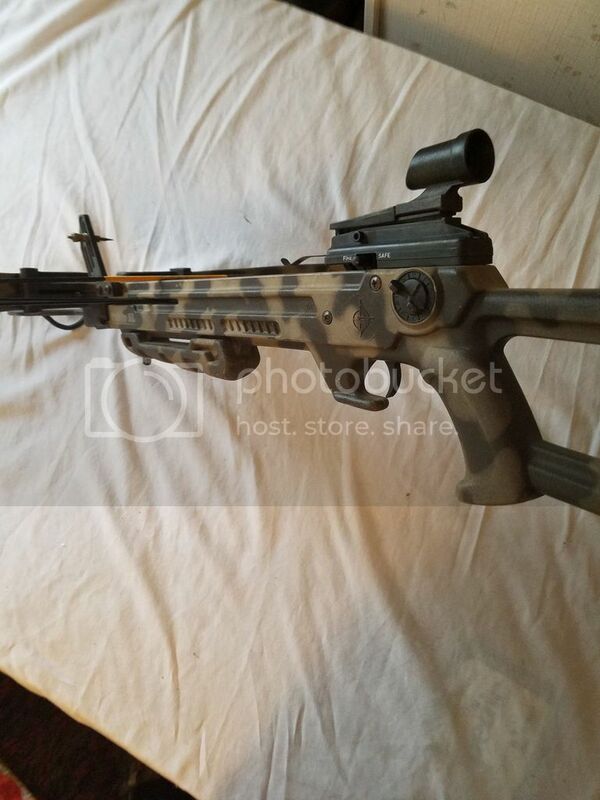 Will trade for a CC handgun or cheaper/backup deer rifle. Re: HORTON YUKON SL CROSSBOW - $120.